Choose an attractive dining table that will capture guests' attention � the Genoa Dining Table. This eye-catching dining table includes a rectangular natural Italian wood veneer top with book-matched edges that create the illusion of a single slab. 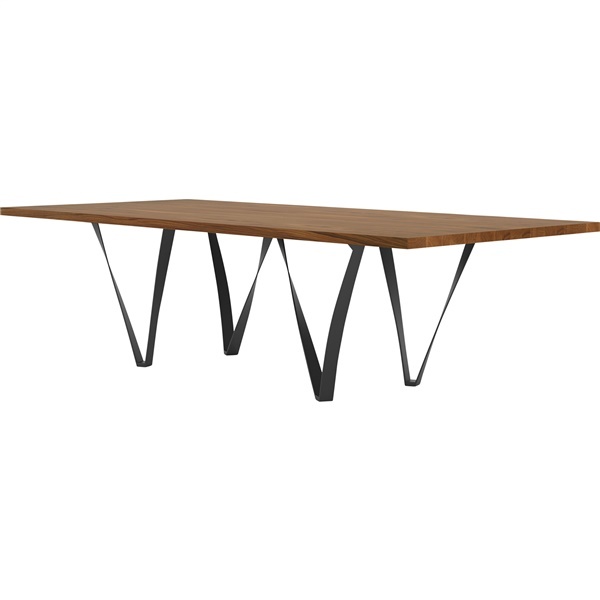 Meanwhile, the table is supported by an artistically formed steel structure that is both stylish and versatile. Pick up a dining table that provide ample space for up to ten guests � the Genoa Dining Table. Rectangular natural Italian wood veneer top with book-matched edges blends style and function perfectly. Artistically formed steel structure offers uncompromising support. Table offers ample space for up to ten guests. Streamlined design makes the dining table a wonderful choice in any dining space.